Fanatics, the market leader for officially-licensed sports merchandise, delivers highly personalized content to every kind of sports fan — across all stages of the customer lifecycle. 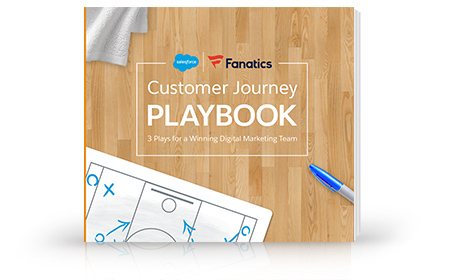 Get a courtside view of Fanatics’ winning strategies with in-depth Marketing Cloud use cases. Adapt these marketing “plays” for your own brand on the road to campaign victory. Build a 360-degree view of every fan in Audience Builder. Test an AMPscript coding template for dynamic email content. Make spot-on product recommendations with predictive data. Round out your marketing dream team with Marketing Cloud.